What is considered the best way to convert a multipage PDF into single page JPG's with photoshop CS3? I'm looking for a (semi) automated process since it's a 150 page pdf so a little cumbersome to do manually. Using "600dpi/RGB/best quality possible" it took an hour to convert to JPEG. Using "300dpi/RGB/60% quality" it took about 5 minutes to convert to JPEG. There doesn't seem to be a well working default solution available. But the solution is actually quite easy. To do this, we will need to create our own photoshop action. Create a new action. Name it "Save to JPG"
Save your sample image, as a JPG in a certain folder. Open up your multiple page PDF file (you select which pages to open; each page will open as its own image. Note: If you want 1 pdf, then select only 1 pdf. If you want all of them, then hold Shift and select the ones you want to open in Photoshop. This will open all the pdf pages as Photoshop files in the program.). Under "Action" your "Save to JPG" action should be there, select it. As your source, select "Opened Files"
will produce pages-0.jpg, pages-1.jpg, ..., pages-n.jpg. Maybe in Acrobat you extract single pages (under Document→ Extract Pages, you can do all of them, or a range), and then use an Action in Photoshop to Open→ Save as JPG → close, and Batch all the files. Finally, click File → Save As → Image → JPEG, choose your settings and save. 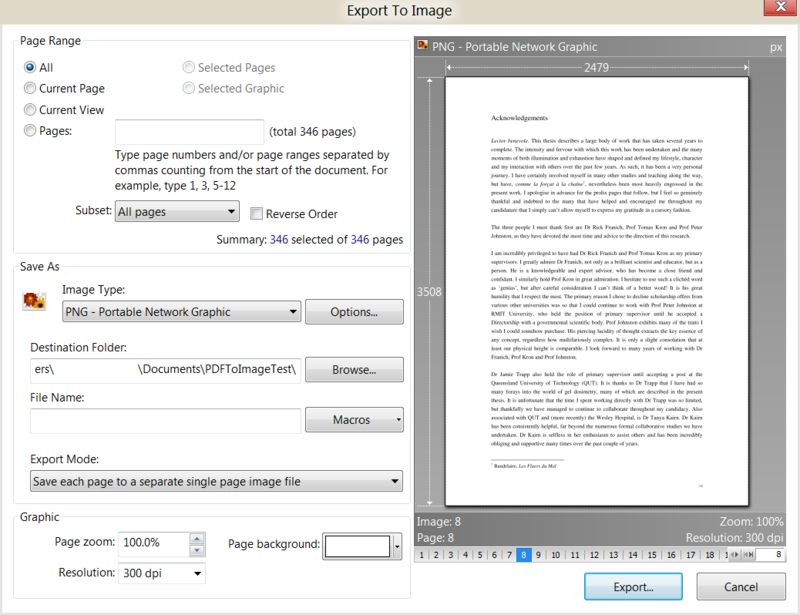 If you are on windows, you can do this with PDF-XChange Viewer (http://www.tracker-software.com/product/downloads). Not the answer you're looking for? Browse other questions tagged adobe-photoshop adobe-acrobat or ask your own question. How do I produce a fully editable multipage PDF from multiple PSD files in CS5? How could I use a slug in InDesign as a digital client sign off? Why isn't 'Convert All Spots to CMYK' converting my PDF to CMYK, in Adobe Acrobat Pro DC?